Giving outside influence the cold shoulder, we turned our dining room into an entertainment hot spot. Swiss-French architect Le Corbusier made huge contributions to Modernism, urban planning and furniture design, but among all his contributions, the one thing I keep coming back to is this quote. The challenge we all face as homeowners is in adapting our houses to our unique lifestyles instead of worrying too much about obeying tradition, design TV shows or our neighbors. And there are so many rules! Here are three design rules we broke when renovating the dining room in our Omaha home. One of the biggest pitfalls people fall into when decorating their home is being afraid to change the purpose of a room. Sure, a kitchen is always going to be a kitchen, but dining rooms, formal living rooms, and bedrooms are ripe for repurposing. Like many folks, we don’t make much use of a dining room. While we enjoy visitors, we don’t throw many formal dinner parties, and our eat-in kitchen works just fine for daily meals. Meanwhile, our living room is lovely but not particularly spacious — a piano, fireplace and stairway limit the amount of seating we can add to the room. Our solution was to extend the “living area” into the adjacent dining room. Suddenly, we doubled the amount of space we have for casual entertaining, while creating a spot for a flat-screen TV for watching movies. The result is a cozy, calming room that the British would call a “snug.” We think that describes the space perfectly. Even if it does, is that always a bad thing? 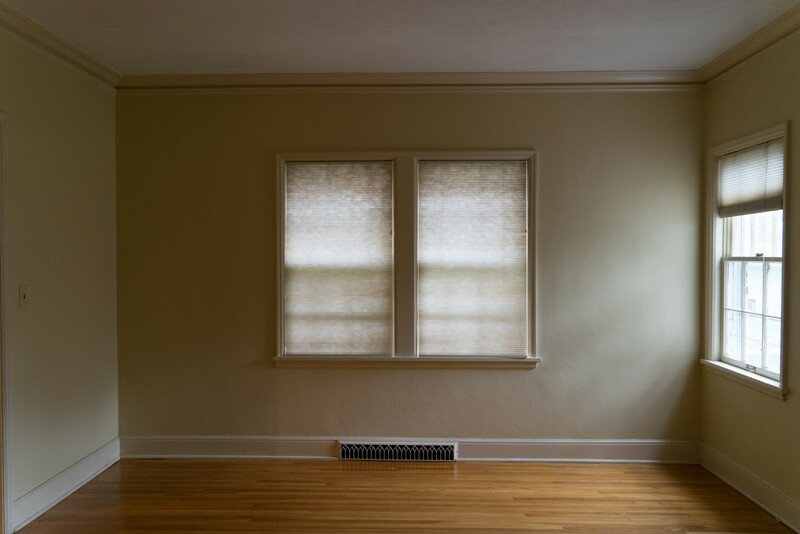 In many instances, a darker wall or ceiling color will have no effect at all on the perception of room size. Very dark colors can, counterintuitively, make walls and ceilings appear to recede from the observer, creating the illusion that the room is deeper. So, the jury remains undecided. What dark rooms inarguably do is create an environment that is cozy, elegant or romantic. While your eye may initially perceive a space as smaller, it will not actually be any smaller. You can fit just as much furniture and as many people into the space as before. So maybe it isn’t a problem at all. Our adjacent living room (and much of the house) has stark white walls and big windows to bring in sunlight, so we decided to paint our dining room-turned-snug in Sherwin-Williams’ Tricorn Black. Nothing subtle about that, but once we filled it with artwork and furniture, everyone commented on how big the room seemed. Post-renovation, the snug provides plenty of seating space for entertaining. As designers and furniture manufacturers, we talk with clients about furniture layouts every day, and choosing too large a sofa in their home is a recurring concern. While it’s true that the scale of furniture matters, you can often get away with putting more into a room than you might imagine. It’s all about placement and maintaining pathways. Our snug is a great example of this. It measures merely 13 feet by 10½ feet, and has a wide opening to our living room, a door to our kitchen and three big windows. 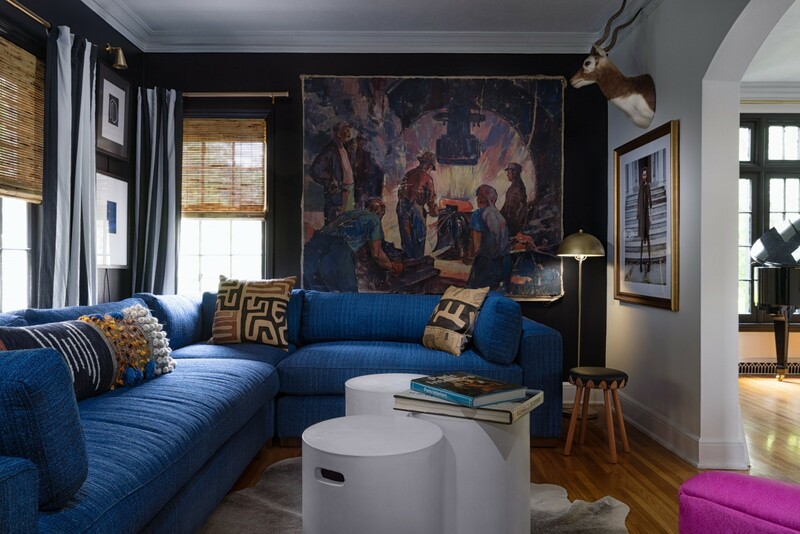 Into the room, we fit a 10½-foot-by-8½-foot sectional sofa, a barrel chair, three small tables, a bar cart, a large wall-mounted flat-screen TV and tons of artwork. Despite squeezing in seating for a big group of people, we haven’t compromised the critical pathway running from the living room back into the kitchen. We absolutely love our cozy, compact lounging space and don’t miss our dining room at all. Our unconventional choices may not make sense for your lifestyle, but keep them in mind as you find the best way to live in your home.